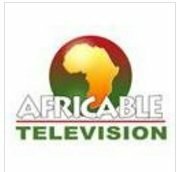 General TV Channel / Africable is a free-to-air, French-language, pan-african TV-channel headquartered in Bamako, Mali. The channel launched on June 26th 2004, born from the desire of young cable operators in Francophone-Africa. Africable's programming focuses on the African unity and pride. Their slogan is "La Chaîne du Continent". The channel broadcasts news programmes ("Journal") from ORTM (Mali), RTI (Ivory Coast), RTS 1 (Sénégal), RTB (Burkina-Faso), ORTB (Benin), Télé Sahel (Niger), CRTV (Cameroon), RTG1 (Gabon) and RTG (Guinea).